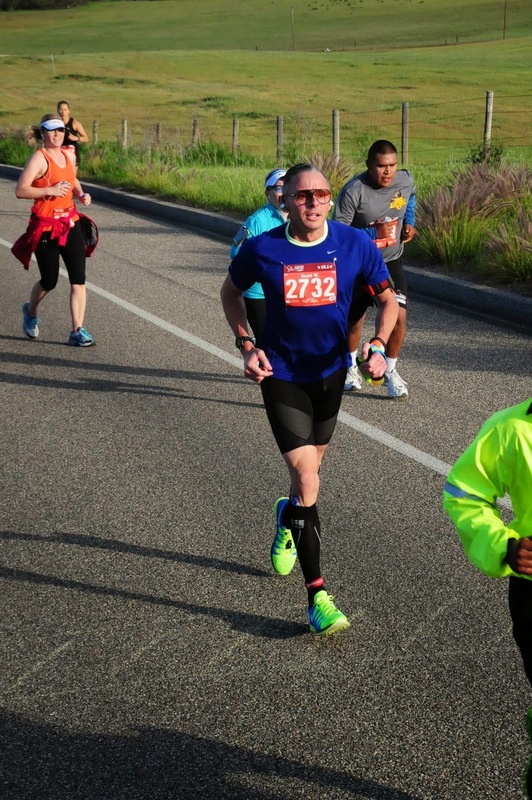 I just completed my first half marathon in 2:06 min at the San Luis Obispo Marathon + Half & 5k 2014 at the age of 46. All my hard work- staying focused, disciplined with my nutrition, strength training at the gym, rest and adequate sleep, and the encouragement from my friends and family paid off. It is quite an accomplishment to go out and run 13.1 miles at any age. What a high it is to be standing in a group of thousands of runners waiting for the gun to fire and taking off on a journey that you have trained so hard for. I could not think of a better 1/2 marathon course to do first than one right here in San Luis Obispo. Starting by downtown, out through Edna Valley Wine Country and finishing at the Historic Madonna Inn. It all started on February 12, 2013 when I decided to go out for my first run. I purchased brand-new running shoes, running apparel, headphones, and a running watch to calculate my speed, time and to record all my runs. I started by running trails with an average of 3 miles per run. Every time I would run I would try to cut seconds off my time. Not only did I like what it was doing to my body physically, but I was also enjoying an endorphin high unlike anything I'd ever felt in my life. I often use the slogan "fit at any age". At the age of 45 I decided it was time to try to be in the best shape I could be. Within my first month of running, I decided to sign up for my first registered 5K- the San Luis Obispo Marathon + Half & 5k. I really didn't know much about registered racing except for signing up online, showing up and running. And that's what I did. When the gun went off all I did was run till I got to the finish line. All I wanted to do was finish my first registered race. Once I crossed the finish line I quickly learned that I had won first place in my age group! Not only did I complete the race and receive a first-place metal for my age group, but I knew that this was just the beginning for me. I was going to have fun with running and work my way up to my first half marathon next year in San Luis Obispo. 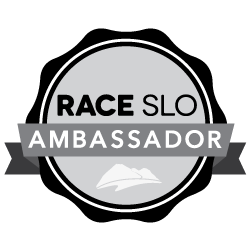 "Pub Runs" at various pub locations in SLO County throughout the year, giving one the opportunity to meet other runners in the area and test out the latest footwear from one of their many sponsors. Being a Maitre d' Restaurant Manager at Marisol Restaurant at The Cliffs Resort, I am pretty much on my feet all day long so I needed to find a workout routine that worked for me. I would go to the gym and work each body part once a week and would run two times a week, anywhere from 3 to 5 miles. I would make sure that these runs were at a slow pace, focusing on form, and enjoying what I was doing and the beautiful scenery around me. I knew to achieve my goals that I would need to get proper rest and adequate sleep, requiring me to stay focused, disciplined and change my life style. I also like to check in on Facebook when I am working out at Pismo Beach Athletic Club each day to keep track of my progress. I have friends that follow my progress, get inspired, and send me motivational messages. When I am out running you can now check in on my progress at Garmin Connect, which tracks me in real time. You can find my link to join on either my Facebook Page or Twitter. I love running and will admit I often dream about it. It has definitely changed my life. Integrating strength training and other cardio exercises, which include indoor rowing and cycling, keeps my muscles and joints strong and my cardio endurance high. I do stay very disciplined with my nutritional program, but I will indulge every so often. I integrated tips and advice I received along the way in my journey, not relying on just one book. 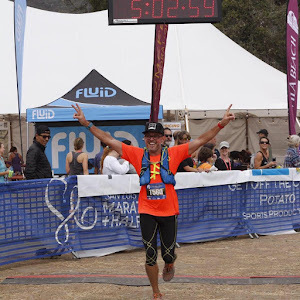 I was asked after the San Luis Obispo Marathon + Half & 5k if I would do a full marathon.Why not! I have come this far, I replied. My goal is to apply what I have learned and do at least two more 1/2 marathons this year.